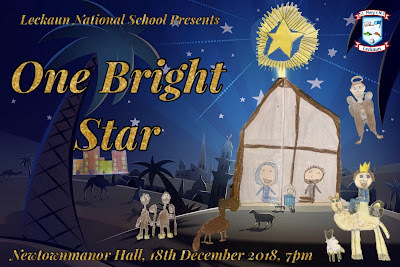 Leckaun National School presents our Christmas Concert ‘One Bright Star’ in Newtownmanor Hall this Tuesday December 2018 at 7pm. Voluntary Contributions accepted to fund school ICT equipment. Concert Programme will cost €2 per booklet. Well done to all the pupils who have worked very hard learning songs, lines and a few dance moves - You are all stars in our eyes! Ag Súgradh le Chéile from Joanne Gilmartin on Vimeo. Crank + Cog - Session #5 from Joanne Gilmartin on Vimeo. Aldi Play Rugby - Session #2 from Joanne Gilmartin on Vimeo. Crank + Cog - Session #3 from Joanne Gilmartin on Vimeo.